twitchquotes: Sometimes when I see my opponent drop that Warsong Commander, I quickly turn my volume up to max, let go of my mouse, lean back in my chair and close my eyes. I let the sounds of whirling blades and orc and dwarf voices engulf me and dive into a dream-like state where only I exist, floating through space with a sweet warmth in my belly. It's almost therapeutic. Sometimes when I see my opponent drop that Warsong Commander, I quickly turn my volume up to max, let go of my mouse, lean back in my chair and close my eyes. I let the sounds of whirling blades and orc and dwarf voices engulf me and dive into a dream-like state where only I exist, floating through space with a sweet warmth in my belly. It's almost therapeutic. twitchquotes: Hello. I am a 15 year old Rhinoceros. The only problem is that my horn on my head is soft and limp. As you may know this is very devastating to a rhino like myself. If there are any rhinos out there that can help me with my problem it would be appreciated. Please dont copy paste this. This is my story. 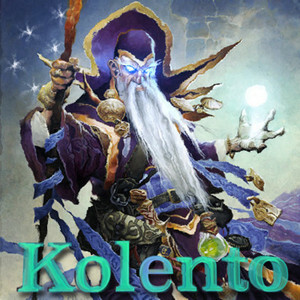 twitchquotes: 10 years since kolento strim.i walk through the empty streets trying to think of something else but my path always leads to the stream. i stare at the screen for hours and try to summon the lord. i watch other asian girls streaming but it is no good. i flame trump in his channel and try to resist the nazi mods but it is all meaningless. the end is near.i then usually watch some old kolento vods and cry myself to sleep. 10 years since kolento strim.i walk through the empty streets trying to think of something else but my path always leads to the stream. i stare at the screen for hours and try to summon the lord. i watch other asian girls streaming but it is no good. i flame trump in his channel and try to resist the nazi mods but it is all meaningless. the end is near.i then usually watch some old kolento vods and cry myself to sleep.